Make sure to hire a professional like those at David Bange Roofing. The roof is a commercial building’s first line of defense. This defense is not limited to natural hazards like rain, wind, fire, ice, hail, snow and even extreme heat. This article will illustrate the importance of commercial roof maintenance and repair. The roof is also the most vulnerable part of the building. Every day, the roof is exposed to the elements that may contribute to deterioration and decay. This greatly increases the risk of damage to the roof itself and obviously the contents below it that it is meant to protect. The International Building Code which sets the safety standards for commercial buildings requires that roofs “serve to protect the building.” Having a roof that “protects the building” starts with design, materials selected, and installation at the time a facility is built or remodeled. It also includes a regular program of inspection, maintenance, and repair. These activities should be part of any operational planning in order to prolong the life of the roof and make sure it does its job in protecting your business from weather damage. If it has been a long time since you or your company has had the roof inspected, the first priority should be to identify and fix any major problems. This should seem obvious. The signs of serious problems with the roof may even be apparent even from inside the building. Looking around, one may see water stains on the ceiling may signal a leak. This can be commonly caused by a crack or hole in the roof. It is important to know, that even the smallest leak can be signs of big trouble. Along with water stains, if the building has unexplained mold or moldy odors inside the building, this may indicate a roof leak as well resulting in water penetration from the hole or leak. While internal water damage and mold typically signal trouble above, it’s also important to inspect the roof itself to look for problems that are likely to get even worse over time. Now depending on the slope of the roof and the ease of access to the roof, inspections sometimes can sometimes be done by the building owner. In many cases though, it makes sense to hire a roofing expert like David Bange Roofing in Coral Springs, Florida to make sure the job is done safely and correctly. No need for anyone to get hurt that doesn’t know what they are doing. Even if you hire a professional, reviewing the problems mentioned in this article may help you to understand the significance of what that person has identified and the need for action. Leaving prolonged standing water on the roof can lead to premature aging and deterioration, which will inevitably lead to leaking. Leaks that go undetected for too long, can slowly rust away steel roof decks, it can rot wood decks, and even turn lightweight insulating concrete into a thick paste-like substance. Excessive standing water also leads to significant additional weight on top of the roof, which can and will weaken the roof deck. Bubbling may be an indicator of trapped moisture within the roof cover, which also can lead to leaks, reduces the life span of the cover, speeds up premature aging of the deck, and reduces the roof cover system’s effectiveness in a windstorm. Roof flashing are the strips of metal installed around objects that protrude from the roof in order to deflect water away from seams and joints. A gap in the flashing greatly increases the potential for failure during high winds. The best way to avoid roof-related problems and strengthen weather resistance is through regular care and preventive maintenance. Roof care and proper maintenance also prolongs the life of a roof and in many instances allows for “repair” instead of “replacement” when the problem is identified. This can be a very costly difference in your favor. The frequency of inspections for maintenance depends on several factors. These factors are not limited to, the age of the roof, recent weather events, rooftop foot traffic, and any conditions identified in previous inspections. It would be wise to schedule inspections every six months. Look for established, licensed and bonded professionals. Try to obtain several bids. Ask for and check references that specifically include other commercial buildings in the area. Contact the Better Business Bureau to check for complaints filed against the inspector. Make sure the bid clearly defines the work that will be done. This includes hauling away of debris and grounds cleanup. A properly maintained roof is necessary to protect your commercial building and the business conducted within it. Remember that a little preventative maintenance can result in a ton of savings, especially when compared to the cost of damage from a small, undetected leak or a catastrophic roof failure. As you may know, roofing damage is not cheap. Having someone like David Bange Roofing in Parkland, Florida to come and inspect and handle your roof repair is a wise idea. 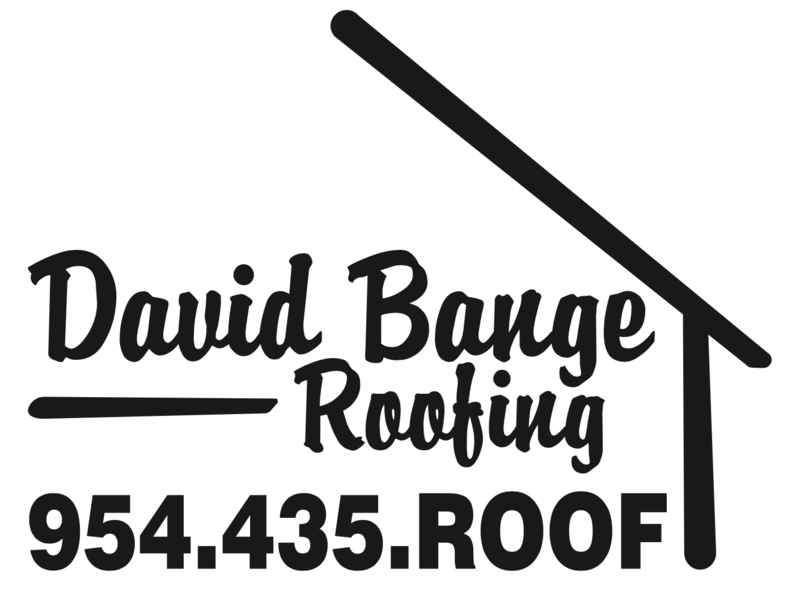 Whether you need repairs to your home or commercial property roof, or in the worst case scenario you need a complete roofing replacement, Contact David Bange Roofing right now and make the best decision of your roof’s life. David Bange Roofing will give you a fair and affordable estimate. And that will save you some money and some piece of mind while your roof is being made new again.